In Spain, in recent years, cyclical changes to the country’s economy have left their mark on several industries. Where the common practice for companies used to be to purchase and own their equipment, particularly in the industrial and the construction sectors, we now see a tendency towards equipment rental. By now, the equipment rental model has become essential in order to meet the demand for industrial and construction equipment. 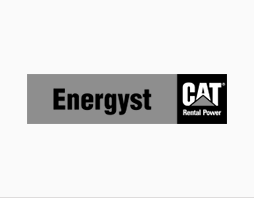 As an official CAT Rental dealer, Energyst understands the rental model and appreciates the support of dedicated rental trade organisations. That is why, in July 2016, Energyst’s Spanish rental branch applied for, and was admitted the ASEAMAC membership. ASEAMAC is the Spanish Construction Machinery Rental Association. The association was established for the purpose of increasing professionalism of the equipment rental industry, trough meetings, training sessions and accreditation protocols. Secondly, ASEAMAC is a platform for promoting the advantages of the rental model, specifically the construction machinery rental, to the general Spanish public. For more information, please contact our Spanish rental office at phone number +34 902 322 224, or send an email to info.es@energyst.com.